As Ford readies its 2018 Euro-offerings, Driven to Write asks whether Henry’s Focus remains slightly askew? In a Automotive News report this week, it was revealed that Ford will not unveil the new-generation Focus model at the Geneva show in March, electing to do so at a bespoke event the following month. The Ford spokesperson did not explain why this decision was taken (nor, it seems was the question asked) but it does suggest that Ford’s marketers believe they will get more of a PR uplift away from the noise and clamour of the most prestigious car show of the year. Ford’s European outpost has not had much to smile about in 2017. Profits are down a chilling 81%, owing to a combination of factors amongst which Autonews report as jitters over the UK’s political course (Ford still has a manufacturing presence in Blighty), along with higher warranty and commodities costs (ANE didn’t elaborate on this, but it sounds brexity). What Autonews also neglected to mention was the UK’s sizeable sales downturn and what (if any) Ford’s ongoing weaknesses in its European product mix played in this. Their most recent model offering, last year’s allegedly all-new Fiesta, does not appear to have hit the ground running. While not on sale a full year as yet, EU deliveries of 254,059 (JATO Dynamics) show a 15% drop on the previous (run-out) year. Not a stellar performance for one of Europe’s habitual top-sellers. The upcoming Focus, architecturally speaking at least, looks set to follow the Fiesta template, being in effect, a heavily revised reskin of its predecessor. Style-wise, it seems almost certain to resemble a slightly more dynamic-looking version of the outgoing model with some stylistic and graphic elements of the Fiesta grafted on for added relevance. 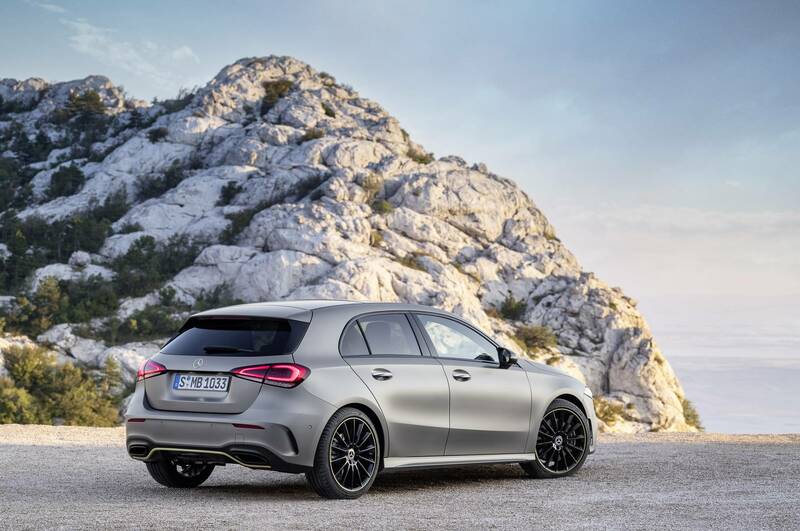 Prototypes have been sighted in five-door hatch, estate and three-volume saloon styles. Also like the Fiesta, it will be available in a variety of variants, with sporty ST-Line, jacked-up Active and sybaritic Vignale models being offered. Given that the model is in run-out mode, the Focus’ sales performance has been relatively robust, with 2017 EU sales of 212,806 (JATO Dynamics) which is near as makes no difference to 2016’s figures. So while on the surface this is a decent turn out, it masks the fact that it was outsold by Opel’s newer Astra (which ought to be doing better than it is) with 216,515, by Skoda’s Octavia with 227,213 and by the perennially class-leading Golf with 482,177 delivered. Of these, only Skoda gained sales in 2017. Whether Ford can regain a number two spot behind VW in the C-sector remains to be seen, but its ‘product offensive’ doesn’t end there. On display at Geneva will be revised versions of Ford’s other European offerings. The staggeringly dull Ka+ gets a touch of blusher as does the lacklustre EcoSport, a vehicle which seems to be in an almost constant state of refresh. This is facelift number three (at least). Still, it keeps the boys in Köln-Merkenich busy, one must assume. This year coincidentally marks the 20th anniversary of the Focus nameplate, first affixed to a car which dazzled the industry with its eye-popping style and driver-focused (no pun intended) dynamics. Since then, despite the original Focus being both a critical and sales success, successive models have been studies in retreat – the outgoing model being perhaps the most tepid reimagining in the model’s two-decade history. The first generation Focus sold just shy of 3 million examples in Europe over its six year lifespan. Not bad going until you realise VW shifted an additional 1.5 million Golfs over the same period. And those were good days for the Blue Oval. Ford’s inability to unseat the Golf it seems has led them to gradually adopt its iterative template. On one hand no awful crime; after all, mandating a fairly rigid ‘family look’ hasn’t done the Golf much harm. In a market characterised by a growing convergence, what remains (if we leave dynamics aside), apart from design? Global design director, Moray Callum recently appointed Dutch designer, Amko Leenarts as Ford’s European styling chief. Formerly an interiors specialist, Leenarts arrived last summer on the back of a renewed commitment to the 275 staff at both Merkenich and Dunton in the UK, with Callum promising €13 million in investment. A more fruitful commitment, it could be argued, might be to remove the shackles of constraint and stop producing tentative committee cars fated to become everyone’s second or third choice. Any positive influence Leenarts might conceivably wield is obviously too late for the upcoming Focus, but the task he faces now is how to shape Ford up before it finds itself with little choice but to ship out. I guess Ford & Mercedes’ dSignXchange® programme is not just starting to bear fruit, but also acting as an encouraging symbols of cooperation across borders of both the corporate and geographical kind! I honestly thought that the rendering at the top was a spoof as it looks so generic. You could stick a Hyundai, Kia, Mazda or Nissan badge on there without raising any eyebrows. If the new Focus really does look like that it’s finished; who wouldn’t choose a bland car with decent reliability and after sales service? The wing treatment in particular reminds me of the Mazda 3. Weird that VW is so far ahead, given the number of buyers I read complaining about build quality. Could Ford not offer a long warranty, like Kia? Has the Aston grill done much, or even anything, to help them? I like Kris K’s pic: but that car’s heading for a cliff edge, which I doubt the Merc is. Wow! I wasn’t expecting much, but that is depressing. If it makes Ford´s decision easier to understand, it looks to me like they are going after a very slowly changing style. It is a rather dreary theme they have landed on, which is a waste of the richness once on display in the Mk1 Focus. We´ll see how the detail design is when the actual car is unveiled though. I am not sure the artist has captured the car´s real “feel”. I genuinely hope you are right and that it has more character about it when the real thing arrives. Astra has my vote at the moment, though comparing pictures online this evening I realise that it looks much better in real life than on a screen. Here’s hoping the same applies to the Focus! Yes, the current Astra is very pleasing-looking car, a worthy follow-up to the last one. I think it looks distinctive without being weird. Mark Adams did some subtle stuff with the surface treatment.